The sun is out, the hills are blanketed in wild mustard, and somehow we’re already halfway through April. Onto your news! NO AFTER-SCHOOL PROGRAMMING THIS THURSDAY, APRIL 18. All students must be picked up at 3:00 p.m.
NO SCHOOL THIS FRIDAY, APRIL 19 (Good Friday). Your 2019-2020 Academic Calendar is live! This includes all the key dates for our next academic year. You can access this calendar anytime under the “My ESLA” tab. Parents, please save the date: Thursday, May 2, 6:45 - 8:45 p.m. As part of putting together our strategic plan for the next few years, we want to hear from you. We’ll discuss our strengths, weaknesses, opportunities, and challenges in nine different areas. After School Program, Lab Days, School Trips, etc. It’s hard to believe that we are already nearing the end of the academic year! 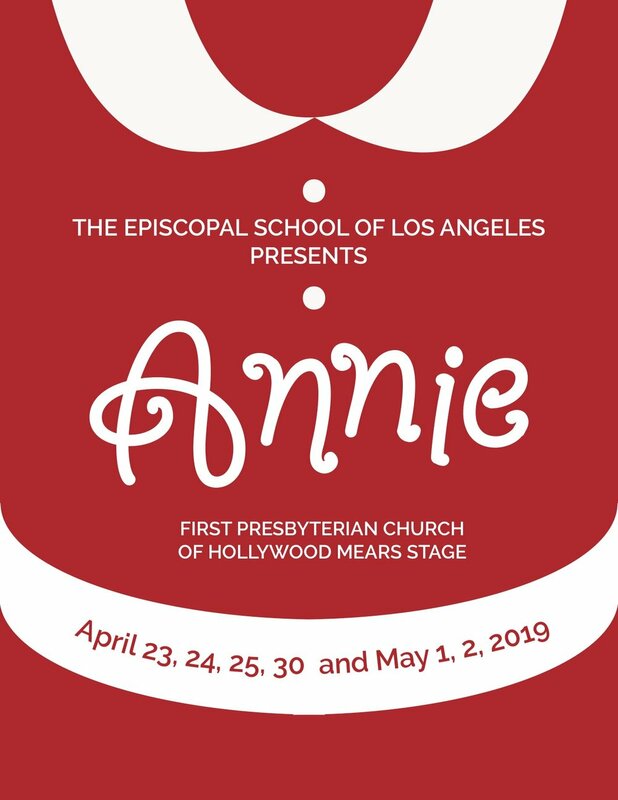 It feels as though we were just starting at First Presbyterian Church of Hollywood, and now we are planning the final weeks of school and looking forward to all that next year holds. As you know, after eighteen months of work, ESLA successfully completed the WASC/CAIS self-study process and visit, earning seven years of full accreditation! While this is certainly a cause to celebrate, the work of growing and improving upon a unique mission-driven school like ours is never complete. Along with the WASC/CAIS stamp of approval, the school received a number of suggested areas in which to delve deeper, being always mindful of the connection between our mission, values, and everyday lived practices. These conversations led to fruitful discussion, and one of the areas of mindful examination the school has identified is student discipline philosophy, policies, and procedures. This year, ESLA created a Discipline Committee, which is currently working with a group of faculty and staff to examine the alignment between our school’s discipline philosophy and practices in order to both recognize our current strengths and make recommendations to the administration for improvement. Surveys have been developed for faculty, students, and parents to complete in order to gather data on our current discipline policies and procedures; feedback will be analyzed before the committee makes recommendations to school administration at the end of the 2018-2019 academic year. As a parent or guardian of an ESLA student, your voice and experience with the discipline system matter. At your soonest convenience, we ask that you please take five minutes to complete this digital survey. Thank you for entrusting us with your children, and for taking the time to help us with this process. If you have any questions or concerns, please feel free to reach us at spencer@es-la.com or valenzuela@es-la.com. Tickets will go on sale TOMORROW, Tuesday, April 16 and will be sold before and after school at the prorated price of $35.00. The following week tickets will go up to $40.00. We’ll accept cash or checks made out to the Episcopal School of Los Angeles. We are allowing each ESLA student to bring up to three guests, making their group a party of four. Please find below both the student and guest behavioral contracts that we will require signed by the respective parties listed on the forms and returned on Wednesday, April 24. A photocopy of guest student/state ID is required; a physical ID will be required the day of the event (mandated by the Temple). The Upper School Track and Field team competed at Washington High this past Thursday. ESLA student athletes had another solid performance including a number of personal bests as well as two school records! The team is now peaking for league prelims on April 25. Coach Jane Hannon is doing a great job putting the team through their paces. The Middle School Track and Field team competed last Sunday at Palisades Charter. Coach Martha Mauricio is doing a great job with our Middle School student athletes. The Middle School co-ed soccer team had two hard-fought games this past week. The team looks very strong and features great team work and soccer skill. Coach Stephen Smith is sharing his soccer expertise with a young co-ed squad and they are improving every time they step on the pitch. Middle School Lacrosse enthusiasts are continuing to drill in hopes of fielding a CIF competitive team next year. 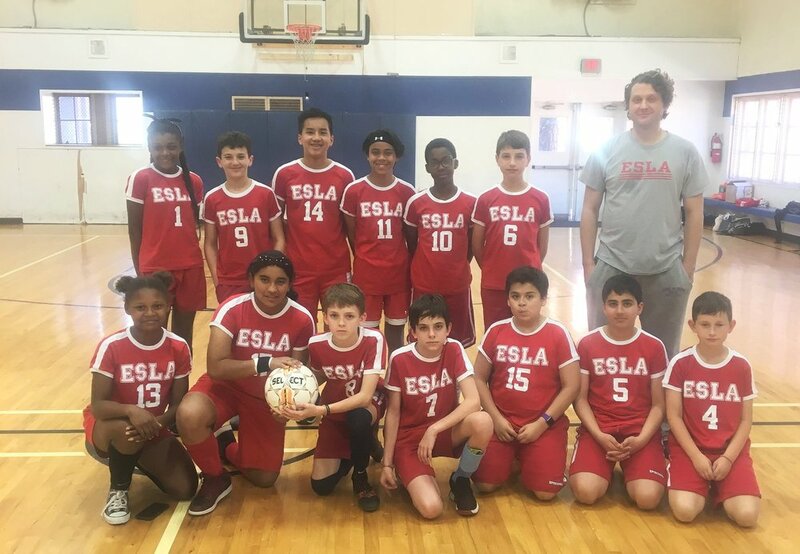 Open Gym continues in both basketball and volleyball as ESLA student athletes are already starting to think about next year as their 2019-2020 schedules are now available. Sincere thanks to all our parent drivers as well as enthusiastic fans who have attended our contests at venues all over Los Angeles. Our friends at the Preschool on the FPCH campus would like to remind us to DRIVE SLOWLY AND CAREFULLY during drop-off and pickup. Please be respectful of our neighbors! Two of ESLA’s very own, Hopkins Henry Hale (AKA “Triple H”) and Peter Colin White III (AKA “Point Break”), Class of 2019, are founding members of the indie rock band Third Street. They just released their second EP, Systems, which consists of four original songs. Hop produced the album soup-to-nuts in his garage, and is planning to major in sound engineering. Hop is also the lead singer and guitarist for the band. Colin is the keyboardist and also features on lead vocals on the song “Distracted.” The album has a diverse range of influences and showcases the breadth and depth of the band’s sound. Give it a listen on bandcamp!